Among the thousands of peacemakers, she sealed her mark as the most worshiped lady on the move. Why? It takes extraordinary compassion to sacrifice a comfortable life to feel the pain of poor and to make a helpless life strong. Mother Theresa owned that courage to self-sacrifice her luxuries to create the smile in mourning eyes. She traveled the world to meet her destiny. Her life started on 1910 in Skopje, Macedonia. Born to a business family, she spent a relaxed time until her father’s death when she is 8 years old, Then she devoted her life to religious services. She was fortunate enough to have a solid religious background before her long journey started. It is the slums of Calcutta which completely changed her life. 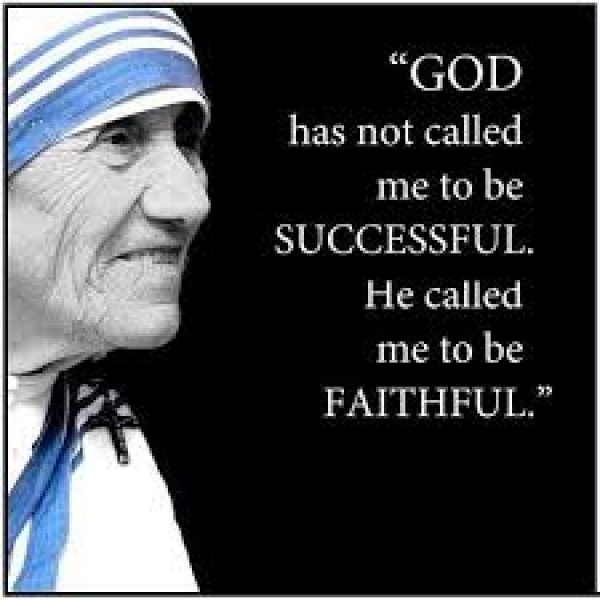 As in her own words: “Call within a call”, her ultimate life call to be the supporting mother to the unloved and abandoned poor ones. She is not boasting but essentially labored to achieve these words. Disclosing the whole word the worth of empathy. She is a living example for anyone who wishes to help the poor helpless. Her life story will inspire and encourage many unborn Mothers Theresa. It is her uniqueness which drives herself to win the Nobel Peace Prize in 1979. Many more recognitions throughout the world. She was a heroine in movies and great character for authors. Even after many years from her death, she is still praised and reminisced. But she came as both blessing and a lesson, blessing to the thousands of miserable people and a great lesson to the superficial world showing the value of relieving dying lives.